I created for a baby album I am working on! This layout was very simple and oh so soft and pretty. 1. Start by stamping the Blossoms from the Sin City Stamps Fairies and Blossoms 2 stamp set onto ivory cardstock and cut out the blossoms. 2. Mask off diagonal areas with scrap card stock. 3. Stamps script from the Sin City Stamps Art Journaling #2 to fill all of the unmasked areas. 4. Add dots along edge of masked areas with coordinating marker. 5. 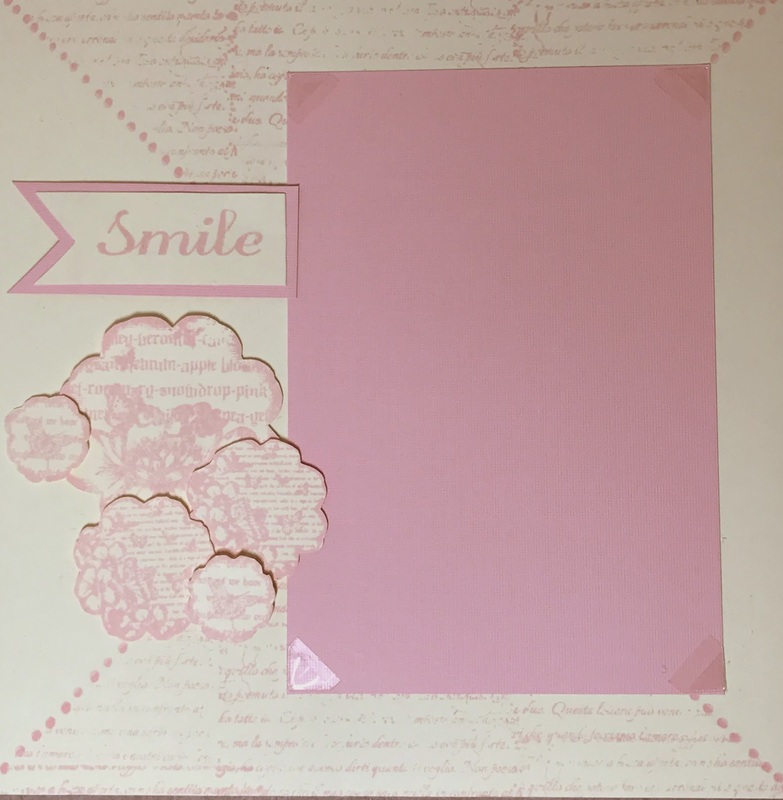 Remove cardstock masks to reveal base of your layout. 6. 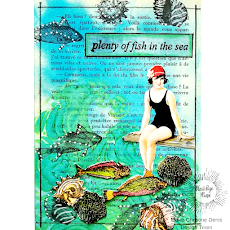 Add stamped greeting from Sin City Stamps Art Journaling #2 and add cardstock photo mat. 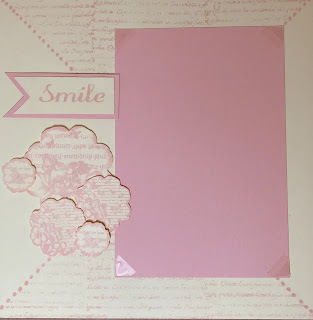 Accent with cut blossoms to finish off your layout. When you are complete you have this super sweet baby layout!